Matt Tiampo is a senior research analyst and principal for First Light. As a senior research analyst, he plays a significant role in the execution of the firm’s investment processes, including identifying and analyzing prospective and existing portfolio investments. 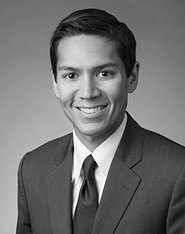 Prior to joining First Light, Tiampo was a member of the research team at Craig-Hallum Capital Group, where he began working in 2011 as an equity research analyst focused on health care technology companies. His research coverage included companies across the health care spectrum, including medical devices, generic and specialty pharmaceuticals, and diagnostics. After spending three years as a member of the health care practice at Craig-Hallum, Tiampo was promoted to senior research analyst in 2014. In this role, he primarily followed small-cap biotechnology and pharmaceutical companies, as well as businesses providing products and services to those industries. Tiampo earned a bachelor of arts degree in history from Queen’s University in Kingston, Ontario and holds the Chartered Financial Analyst® (CFA) designation.